Ben Bankas is from downtown Toronto, born to a violinist father and visual artist mother. 27-year-old Ben has been performing stand up comedy since age 19. Ben’s edgy observational humour and commentary is to be enjoyed by audiences of all ages. 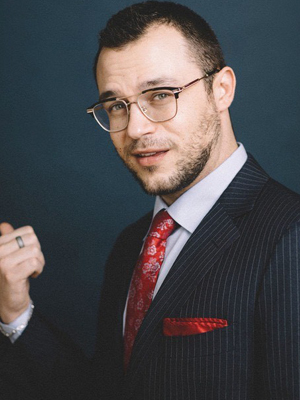 Ben has performed at the Jewish Comedy Festival, the Cannabis Comedy Festival, 420Toronto at Yonge and Dundas Square, NXNE, Comedy Bar, Thunder Bay Comedy Festival, Second City and was previously a regular comic at The Corner Comedy Club and Absolute Comedy before joining Yuk Yuk’s in 2019. Ben’s ability to connect with a crowd makes him an excellent addition to any show, whether as a host/MC, guest appearance, or feature act.